Fences are an important part of any home or business. A fence has a lot of roles to play. It’s often the first impression a person will have of your house or business. It provides security and protection from the weather, and it keeps the things you love in, and the things you don’t out. Choosing the right fencing companies can be the difference between a beautiful fence that will stand the test of time and a cheap, thrown together fence installation that will blow down with the first strong wind. So, give your fence installation the respect it deserves by picking the right contractor. Your first impressions are often right, and when it comes to choosing fencing companies, it’s a good idea to go with your gut. How did they answer the phone? Were they communicative, or did they seem disinterested? Did they make suggestions, or did you have to do all the talking? Did they ask your opinion? A person’s phone manner is a pretty accurate indicator of their working manner. If you didn’t like them on the phone, then chances are you won’t like them in person, working on your property, either. Ask questions. Ask lots of them. 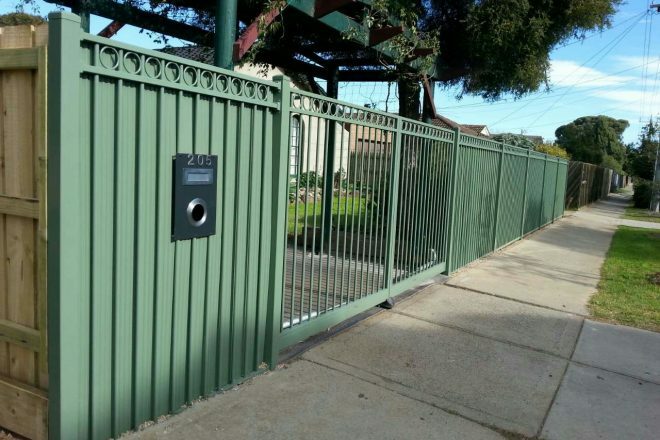 A fencing contractor who is passionate about his work and is passionate about delivering a superior quality fence construction and installation will be only too happy to answer any questions that you might have. This is absolutely vital in ensuring that you end up with a product you are happy with. A fencing company should consult with you before they make any decisions, and they should be willing to give you time to think. Never choose a fencing contractor that wants to rush you into making decisions; it’s your money and your fence. You’re the boss. The young, self-employed fencer might seem enthusiastic, but experience counts for a lot. A good, experienced fencing company should be willing to show you photos of past fence building. They should also have evidence of the success of other jobs, such as testimonials from past clients saying they delivered a good product, on schedule and as quoted. When hiring a fencing contractor, make sure you do your research and find out what the best fencing materials are, and then ask each potential fencing company what materials they use or recommend. Its always best if they do the purchasing for you, a successful contractor should have deals with suppliers that will save you money. Even better, they will fabricate all the materials themselves, stand behind their quality 100%, and by dealing direct to you, will help save you even more. Everyone wants a good deal, and nobody likes to be ripped off, but that doesn’t mean you should go with the cheapest quote you can find. A fence constructed with quality products will always save you money in the long run. It will last longer, require less maintenance and ongoing upkeep and will be less likely to blow over every time there is a big gust of wind. If you receive a fencing quote that is cheap—great—just don’t sacrifice on long-term quality for the sake of saving a few dollars in the short-term. Check to ensure that you’re dealing with a qualified and licensed fencing contractor. Make sure they have an ABN, ask for a business address and enquire about their knowledge of all the necessary rules and regulations. There’s no point having the perfect fence installation if it has to get torn down because they wasn’t aware of council regulations. A good contractor should also be more than happy to provide public insurance details and a police check. They should also be happy to provide a warranty. The most important factor in choosing the right contractor is doing your research. If you don’t know what you’re talking about, how will you know that they do! Get an idea of what you want before you start looking for a contractor and then find yourself a good contractor that can provide the expertise you need to turn the idea into a reality.